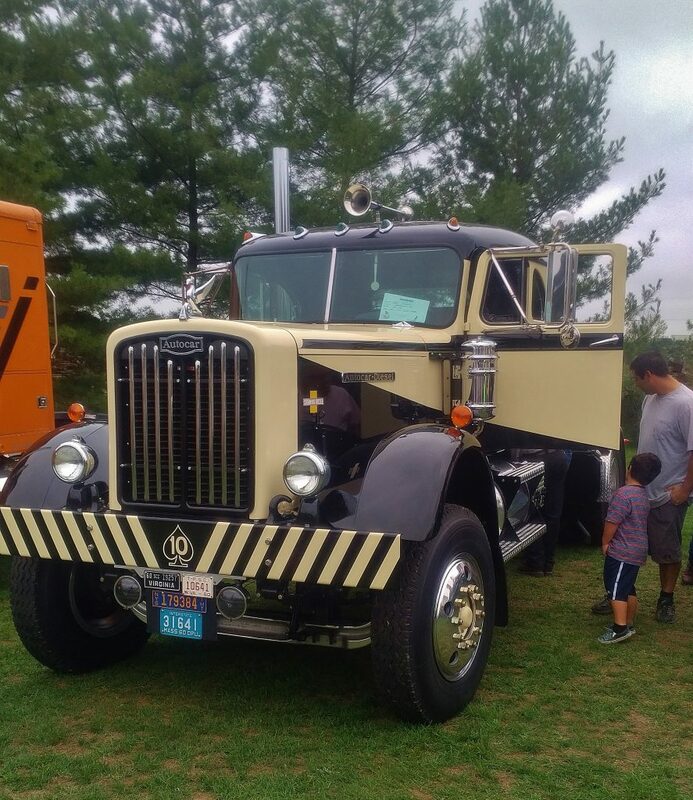 Someday I’ll make it down to the Gerhart’s All Mack Truck event but until then I can count on the kindness of strangers to share photos of some of the great trucks. While the show is titled as “all Mack” all brands of classic trucks are welcome. While Mack is clearly the native truck son of Pennsylvania we can’t forgot about the other brand that called the Keystone state home for many decades. 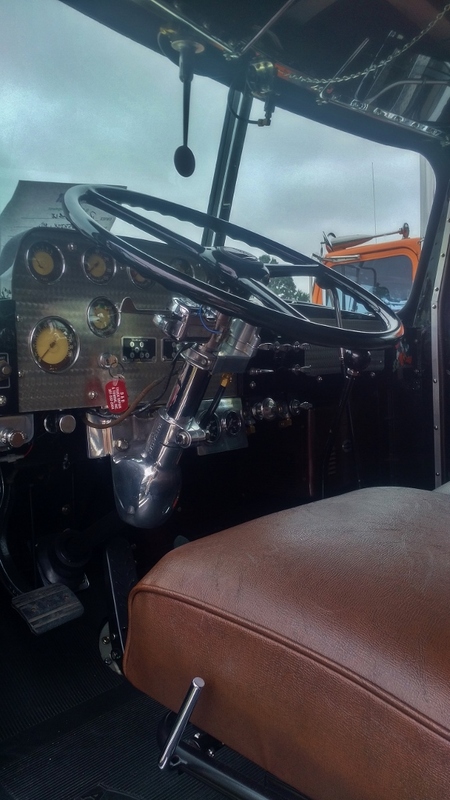 Here we see a 1959 DC102 powered by a 250 Cummins with a 4×4 Fuller trans your gear mixing pleasure. Check out this awesome interior. Autocars of the era had one of the best looking setups of the time if you ask me. Check out the low air “wig wag”. Vintage cool. Thanks to Brian for the great share! Make sure to check out this beastly DC200 also seen at Gerhart’s a few years back. Haha, very true. For some reason I was under the belief that one of the original Autocar factories was in Mass. The DC200 is still there – tucked into one of the barns for safe keeping. A great show that is always work the trip.